South Australia was still a colony, and Australia not yet a nation, when the Boer War broke out in 1899, in South Africa. The colonies of Australia each provided contingents. When the war was over the colonial contingents had been merged reflecting Australia's emergence as a nation. Its soldiers had already begun the process of forging a reputation for courage initiative and endurance, which would later be reinforced during the Great War. South Australia, like the other colonies, quickly raised a force for service alongside "The Mother Country" in dealing with a revolt among the Boer farmers of the South African veldt. 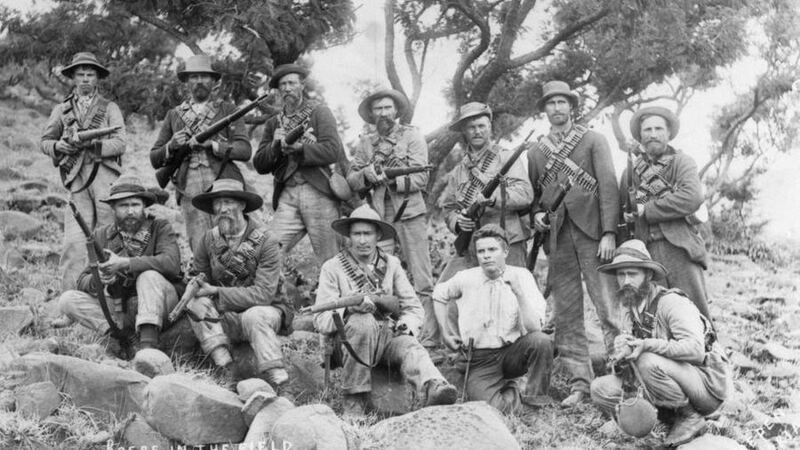 The Boer 'burghers' proved to be very effective irregular soldiers. Mounted on their nimble Boer ponies they were well armed, resourceful and had the attributes and bushcraft skills to make them a formidable and respected enemy, inflicting heavy casualties in early engagements against regular British infantry. They employed hit and run tactics and well selected and defended positions the British initially had no answer. However, as it turned out, Colonial horsemen proved to be every bit the equal of the Boers. In fact they probably had more in common with their enemy than they did with their British allies. Skilled bushmen, excellent shots and horsemen, the colonial mounted troops adapted quickly to and excelled at this mobile warfare. There is a view that the ANZAC tradition was forged on the veldt of South Africa during the 1899-1902 Boer War when Australian and New Zealand units fought side by side. Many historians are of the opinion that this was a war before Australia became a Federation and the connection was not official unlike the situation in the First World War, therefore it is not considered part of the ANZAC tradition. It is true that the war began in the last years of pre-federation. However, the last contingents were raised after Federation was declared and were known as the 'Australian Commonwealth Horse' (ACH) and its members wore the title AC. Part of 1 st Contingent, South Australian Infantry, 6 Officers, 121 Men. 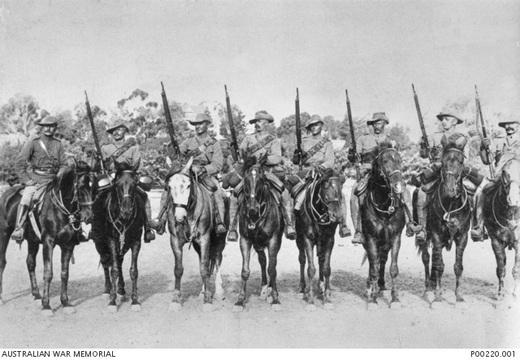 Part of 2 nd Contingent, South Australian Mounted Rifles, 8 Officers, 113 Men. Part of 3 rd Contingent, South Australian Bushmen's Corps, 6 Officers, 94 Men. Part of 4 th Contingent, South Australian Imperial Bushmen's Corps, 12 Officers, 218 Men. Part of 5 th Contingent, South Australian Imperial Bushmen's Corps, 22 Officers, 303 Men. Part of 6 th Contingent, South Australian Imperial Bushmen's Corps, 11 Officers 127 Men. Part of 7 th Contingent, 2 nd Battalion D Company ACH 5 Officers, 116 Men. Part of 8 th Contingent, 4 th Battalion C Company ACH, 5 Officers, 116 Men. Part of 9 th Contingent, 8 th Battalion Company ACH, 10 Officers, 231 Men. Part of 7th Contingent, 2nd Battalion ACH D Company 5 Officers, 116 Men. Part of 8th Contingent, 4th Battalion ACH C Company, 5 Officers, 116 Men. Part of 9th Contingent, 8th Battalion ACH Company , 10 Officers, 231 Men. Of the combined Australian force of approximately 875 Officers and 15,500 men, South Australia contributed 85 Officers and 1,439 Men, (1524 personnel, Times History Vol. 5, App. 1). The South African War Memorial at the Corner of King William Street and North Terrace Adelaide unveiled in 1904 indicates 1531 personnel. The plaque on the building at the Torrens Parade Ground Adelaide that was unveiled in 1936 indicates 84 Officers and 1450 Men (1534 personnel). Of the 518 deaths caused by action or disease, 61 were South Australians. South Australian participation in the Boer War is infamously associated with Lieutenant Harry "The Breaker" Morant. He is believed to be the third Horseman from the left in the title photograph. Adapted by Steve Larkins from original work by Will Clough as featured in "Tributes of Honour".